An intriguing and complex aspect of civil litigation is the use of damage awards as a means of achieving justice. This remains an inexact science; no one can predict the amount of money that a jury is going to award the plaintiff if liability is found. However, a good deal that is worth knowing has been learned about what goes into that decision. For example, studies have examined damage awards when jurors are asked to award a specific amount, as well as how jurors’ perceptions of the plaintiff’s motives for suing can affect damage awards. Although it can be difficult to predict how much money a jury may award, it is still important to consider the various theories that attempt to explain what influences jurors when determining damages. Following are four theories that reflect the current state of the art. Horizontal inequity theory attempts to explain why there is a significant amount of variability among similar injury types. For example, if two plaintiffs lose their ring fingers, their damage awards may be significantly different if one of them is a professional guitar player and one is a triathlete. This can make it difficult for attorneys or consultants to make an educated prediction. 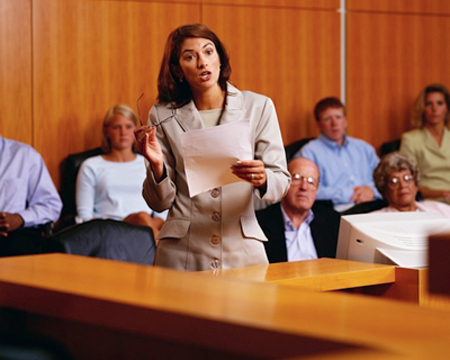 One way plaintiff’s attorneys can counteract this issue is by giving jurors examples of previous award amounts as reference points insofar as this is admissible; plaintiff’s attorneys can suggest an appropriate amount during opening statements and justify that amount throughout the course of the trial via witness testimony. In a bifurcated trial in which the defendant has already been found liable, defense attorneys can use this theory to counteract the amount suggested by the plaintiff, by giving examples of lower amounts awarded in similar trials. Another theory that addresses juries’ determination of damage awards is known as the anchoring and adjustment heuristic. This theory holds that, in making quantitative judgments, jurors are influenced by a numerical starting value, regardless of how arbitrary the starting value is. This supports previous psychological research and anecdotal evidence that the more money that plaintiffs attorneys seek in damages, the more money they typically receive. For plaintiffs attorneys, this does not necessarily mean that they should suggest damage award amounts beyond what would be considered reasonable by the average juror. However, they should suggest awards that may be higher than the average amounts awarded for that injury type. For defense attorneys, this information would be helpful in making settlement offers, in order to counteract the plaintiff’s initial offer and ultimately lower the amount. A third theory on how jurors award damages concerns the concept of fusion. While jurors are usually given instructions to select a damage award amount based on the defense’s conduct as opposed to the plaintiff’s injury, studies have shown that jurors are essentially unable to differentiate between the two. Under the fusion theory, jurors use relevant information from one legal decision to influence how they make other legal decisions. One study surmised that, because jurors hear evidence about the defendant’s conduct and the plaintiff’s injuries simultaneously, the information from both is often fused together to help juries make a decision on the award. Both plaintiff and defense attorneys can use this concept to their advantage by lumping together or separating both components during opening and closing statements. A significant amount of research has been conducted to examine how instructions given to jurors affect damage awards in personal injury cases. A study conducted in 2011 examined lost enjoyment of life (LEL) and how jurors awarded damages when this factor was considered separately from pain and suffering (a common requirement in personal injury cases). LEL is defined as damages that are awarded in order to compensate the plaintiff for the ways in which the plaintiff’s life is limited because of an injury caused by the defendant. These limitations typically focus on the inability to enjoy activities that the person once enjoyed. In some jurisdictions, jurors are able to consider LEL separately from pain and suffering in personal injury cases. In this study, jurors were asked to render non-economic damage awards in one of three conditions: 1) overall pain and suffering only, 2) two separate awards: mental pain and suffering and physical pain and suffering, or 3) four separate awards: mental anguish, LEL, physical disability/impairment, and disfigurement. In keeping with previous research, the psychologists hypothesized that the more injury types the jurors were asked to consider, the higher the overall damage amount awarded. The researchers found that jurors did in fact tend to provide higher damage awards when considering the four-element condition, as opposed to the one-element condition. They also found that LEL played the most significant role in influencing award decisions.. Attorneys should consider these study results when requesting a specific amount of damages from the jury. In order to encourage jurors to award a larger sum of money, it may be beneficial for plaintiffs attorneys to isolate various types of potential damages. Instead of a lump sum only, breaking it into components may provide additional opportunities for jurors to fill in more blanks. However, it would be advantageous for defense attorneys to encourage jurors to consider a lump sum, in order to decrease the award amount. In conclusion, damage award research has the potential to help litigators understand how to better achieve award amounts that will be most beneficial to their clients as plaintiffs and/or ways to defeat them when representing defendants.